One year after the Supreme Court gutted the VRA, few Republicans have signed on to a legislative solution. Last night, Mississippi Senator Thad Cochran narrowly defeated Tea Party challenger Chris McDaniel, in part by courting black voters. 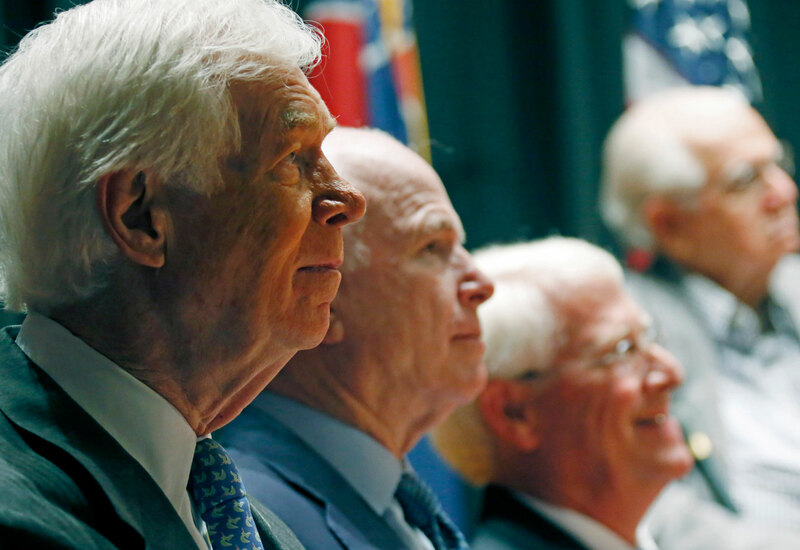 “Voting rights has been an issue of great importance in Mississippi,” Cochran said yesterday. Black turnout increased significantly in yesterday’s runoff election, which helped Cochran win by 6,000 votes. “In Mississippi’s twenty-four counties with a majority black population, turnout increased an average of 40 percent over the primary,” reported The Washington Post. In 2006, Cochran was one of ninety-eight Senators who voted unanimously to reauthorize the temporary provisions of the Voting Rights Act for another twenty-five years. But last year, Cochran applauded the Supreme Court’s decision in Shelby County v. Holder invalidating Section 4 of the VRA, which freed states like Mississippi, with the worst history of voting discrimination, from having to approve their voting changes with the federal government under Section 5 of the act. “I think our state can move forward and continue to ensure that our democratic processes are open and fair for all without being subject to excessive scrutiny by the Justice Department,” Cochran said. Cochran was, in effect, celebrating a decision gutting a law that he supported just a few years earlier. Today, on the first anniversary of the Shelby decision, the Senate Judiciary Committee held the first congressional hearing on the Voting Rights Amendment Act of 2014. Six months after its introduction in January, the new legislation to update the VRA has garnered modest bipartisan support in the House, thanks to former House Judiciary Committee Chairman Jim Sensenbrenner (R-WI), but no GOP co-sponsors in the Senate. There are nineteen Republican Senators still serving who voted for the VRA in 2006, but none have stepped forward to sponsor the new bill. Today’s hearing illustrated the new partisan divide when it comes to voting rights. Democrats on the Judiciary Committee and three civil rights advocates who testified—Texas State Senator Sylvia Garcia, Georgia NAACP president Francys Johnson and NAACP Legal Defense Fund President Sherrilyn Ifill—unanimously supported the modest VRA fix. “If the Voting Rights Act is not modernized, you are effectively ending the Second Reconstruction of the United States,” Johnson said. GOP senators and conservative witnesses maintained that Section 2 of the VRA is an adequate replacement for Section 5. Section 2, unlike Section 5, applies nationwide, but puts the burden of proof on plaintiffs to challenge a voting change, usually requiring lengthy litigation. Wisconsin’s voter ID law was blocked under Section 2, but the statute hasn’t been used much to challenge these new types of voting restrictions. Civil rights advocates argued that Section 2 is no substitute for Section 5. “We reject the notion that the right to vote should be premised on a voter’s ability to find a lawyer and file a lawsuit,” Ifill said. Under Section 5 of the VRA—which SCOTUS paralyzed by invalidating the states covered under Section 4—North Carolina would have had to prove to the Justice Department or a three-judge court in Washington that its new law was not discriminatory. The burden of proof would have been on the state and the law would have been frozen until DOJ or the courts weighed in. Given the clear evidence of disparate racial impact in this case—African-Americans are 23 percent of registered voters in the state, but made up 29 percent of early voters in 2012, 34 percent of those without state-issued ID and 41 percent of those who used same-day registration—the law would have almost certainly been rejected. Instead, voting rights groups had to sue North Carolina under Section 2 of the VRA, which applies nationwide but is much more cumbersome than Section 5. Now the burden of proof is on the plaintiffs to show evidence of discrimination and the law is in effect until the courts block it. Unless a federal judge in Winston-Salem grants a preliminary injunction in the summer of 2014, the new restrictions will be in place during the 2014 midterm elections (except for voter ID, which goes into effect in 2016). Those who have been discriminated against will have no recourse until after the election has been decided, when there’s a full trial in 2015, on the fiftieth anniversary of the VRA. Texas, which has implemented a voter ID law found to be discriminatory by the federal courts under Section 5, is another glaring example of modern-day voting discrimination. Texas State Senator Garcia testified about Pasadena, Texas, which she represents. In November 2013, voters in Pasadena—a city of 150,000 near Houston where Hispanics make up a third of the vote— narrowly backed a referendum changing how districts are drawn in the city. As SCOTUSblog reported, there were previously eight city council districts in Pasadena. But the amendment shrunk the number of districts to six, eliminating two predominantly Hispanic districts, while creating two citywide “at-large” seats that will be decided by the town’s white majority. It’s an example of the type of discriminatory voting change that would’ve likely been blocked by Section 5 of the VRA, but is now in effect as a result of the Shelby decision. “The Justice Department can no longer tell us what to do,” said Pasadena Mayor Johnny Isbell. The Voting Rights Act has always enjoyed strong bipartisan support. But since Barack Obama’s election, GOP-controlled states have embarked on the most significant effort to restrict access to the ballot since Reconstruction—passing new voting restrictions in twenty-two states since 2010—and the bipartisan consensus for the VRA in Congress has collapsed.